Gone are the days when you had to use a plug-in for playing videos in your browser. The latest version of HTML - HTML5 specifies the code through which videos can be quickly embedded in a web page for smooth playback. The advanced multimedia features of HTML5 video eliminates the need for Adobe Flash as well as heavy and slow loading animations. The native HTML5 video player not only provides quick website integration but supports smartphone, tablets and wide range of devices. So you can smoothly play HTML5 embed video on your choice of the device without any worries. One important thing that needs to be considered here is the fact that HTML5 video supports only a few video formats including OGG, MP4, WebM. Furthermore, HTML5 only supports H.264 encoder and thus if your MP4 files have any other codec, they need to be converted to HTML5 supported encoder format. So if you want to use HTML5 videos on your site, you probably need to convert MP4 to HTML5 formats. The below part of the article will further clear all your queries on what is HTML5 video, HTML5 video converter, and other related topics. Looking for the best program to convert your videos to HTML5 supported video formats? You are just on the right place as we introduce Wondershare UniConverter (originally Wondershare Video Converter Ultimate) that is the ultimate video tool for all your video needs. This Wondershare desktop software is compatible with Windows and Mac system and makes your entire conversion process a cakewalk. There are a number of reasons as listed below, which makes UniConverter (originally Wondershare Video Converter Ultimate) as the best HTML5 video converter. Support more than 1000 formats for conversion. So no matter whether you want to convert MP4 to HTML5 or have videos in any other format, the program will take care. The leading APEXTRANS technology of the software makes the conversion process 30 times faster than competitive programs. Batch processing feature of the software allows converting multiple files at a time which saves a lot of time and reduces hassles. Videos can also be converted to device-specific formats. The in-program editing tools like cropping, cutting, adding subtitles and others for video customization. Download videos from more than 10,000 sites. Burn video to DVD or Blu-ray disc with free DVD templates. After downloading and installing, open HTML5 converter on your PC. Add the desired MP4 video files by drag and drop or by clicking +Add Files to browse and add from PC. Step 2 Select MP4 (with H.264 encoder) as the output format. Open the drop-down icon at Convert all files to: option and select MP4 from Video tab. Select file resolution and click the edit icon. From the Settings window, select Video Encoder as H.264 which is compatible with HTML5 videos. Step 3 Convert MP4 to HTML5. Hit Convert All to start converting MP4 to compatible HTML5 video codec. You will find the HTML5 video by clicking the Output icon at the bottom of the main interface. Lossless quality, fast speed conversion. Independent of Internet connection and speed. Desktop software is best for professional and regular use, but if you have only a few files occasionally, you can also convert MP4 to HTML5 online. These online tools have decent features and take care of basic conversion tools. One such popularly used HTML5 video converter online is ConverterPoint. Free to use, this program needs no installation and automatically starts conversion as soon as the files are uploaded to the interface. You can convert your added video to WebM, MP4, OGV, or all 3 formats as needed. The tool is ad-free and virus free and supports adding files up to 4GB. The quality of the output file can also be changed if needed. Additional features include resumable uploader, MP4 quick start and option to remove audio for reducing file size. The program supports popular formats and thus also works as SWF to HTML5 converter online. Once converted, the HTML5 video codec file can be downloaded from the program interface itself. Step 1: Open http://converterpoint.com/ on your PC browser. Step 2: Click “Browse” to add and upload MP4 video from your PC. 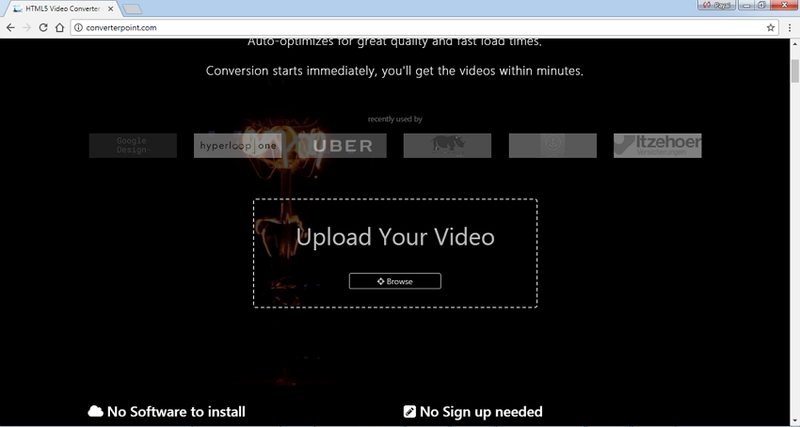 Step 3: Once the video is uploaded to this HTML5 converter online, select default setting or edit on your own. You can also opt to take preview of the file. Step 4: Click “Continue” to open a new window where you have to select the desired format from given options – MP4, OGV, WebM. Step 5: Finally, click “Start Conversion” to proceed with the process. The converted video can be downloaded from the software interface. Allows uploading up to 4GB files. File upload speed is slow and dependent on Internet speed. Only MP4 conversion is free. The OGV and WebM conversion are paid. Limited format support as compared to desktop software. Are you looking for a free and decent converter tool for your Mac system? Wondershare Video Converter Free for Mac is the best of all. The software allows converting videos to a range of iOS devices. The program supports all popular and commonly used formats for conversion and has good conversion speed. This HTML5 video converter Mac allows downloading videos from YouTube in high quality. 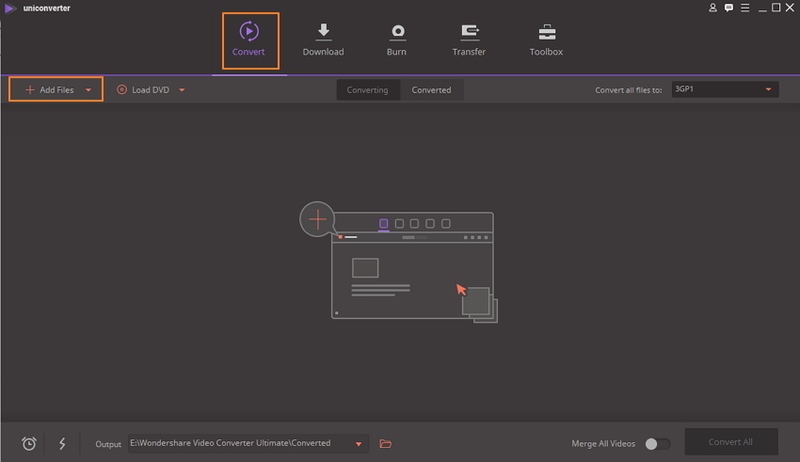 Though UniConverter (originally Wondershare Video Converter Ultimate) and Video Converter Free for Mac, both are popularly used program from Wondershare, they differ a lot in terms of their functions, features, and use. The comparison table below will further help to know both these tools in details so that you can make a choice depending on your needs. So get your favourite videos converted to HTML5 video using an HTML5 video converter online or Wondershare UniConverter (originally Wondershare Video Converter Ultimate) which is the best HTML5 video converter software.